DURHAM, NC—Noting that adopting the religious belief system would allow individuals to fully enjoy the holiday season in all of its glory, a report released Tuesday by the Duke Divinity School revealed that there is still time to convert to Christianity before the start of Christmas. 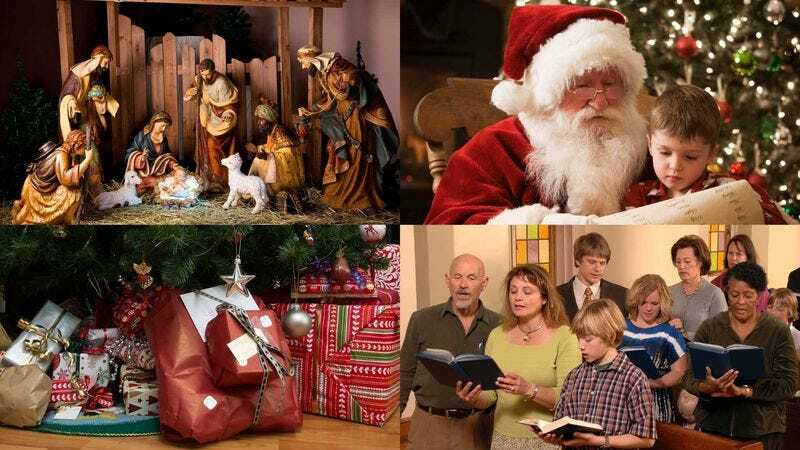 “Whether you’re a member of another faith, atheist, or agnostic, there’s ample time in the week leading up to Christmas to accept Jesus Christ as your personal Lord and Savior,” the report read in part, adding that just by stopping at a nearby church and consulting with a pastor in the next four days, a person could make the yuletide gay with the comforting knowledge that God sacrificed his only son to die on the cross and be reborn for their sins. “Indeed, it takes but a second to allow Christ into your heart. And the relief that you’ll feel as you set up a nativity scene, hang mistletoe, rush out for last-minute gifts, and decorate your Christmas tree with fellow Christians will last forever.” The report also noted that for those who ignored these findings, there still remains all of eternity for them to burn in Hell.